We are excited to announce that the Microsoft Startups program has highlighted MonzaCloud in a recent video interview. 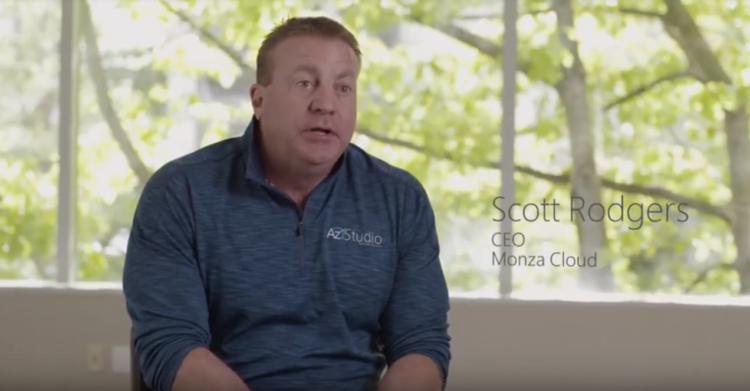 Our CEO, Scott Rodgers, explains how AzStudio performs as an intuitive developer platform built specifically to enable Azure and PaaS services. As an enhanced development tool, AzStudio was built for those who are looking to get into Azure or are already working within it. AzStudio makes the journey to and within cloud even easier for our clients by providing the proper framework for legacy app transformations, straight cloud deployments, and in-cloud optimizations. Our goal is to be the default platform that people use to deploy workloads and build applications in Azure, to ease the logistics of cloud and to help accelerate their business initiatives.